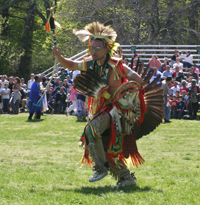 Native American Music and Dance traditions take very different forms from culture to culture. Lotus Music & Dance enjoys a rich relationship with performers of Mohawk music and dance due to the relationship between Lotus's founder, Kamala Cesar, and Tom Porter, the founder of Kanatsiohareke, a traditional Mohawk community in upstate New York. Ms. Cesar and Mr. Porter have worked tirelessly to ensure that performers of Native American music and dance traditions are assured an outlet for their creativity. Although there are hundreds of different communities of Native Americans, all share traditions of reverence to the Creator, oral history and storytelling, stories of origin and unity, and a deep respect for equality and the importance of all life forms. 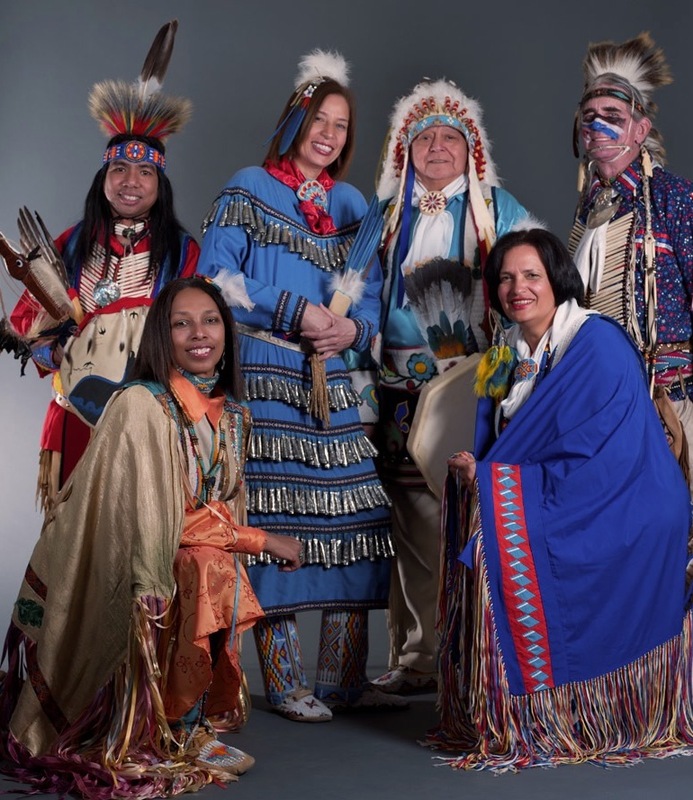 Dressed in traditional regalia, performing artists captivate their audiences and enhance understanding of native history and culture with traditional instruments such as flute, water drum and cow horn rattles. Social dances included stomp dances, round dances, women's dances and couple's dances and their accompanying songs. Native American Hoop Dance is a form of storytelling dance incorporating anywhere from one to 30 or more hoops as props, which are used to create both static and dynamic shapes, or formations, representing various animals, symbols, and storytelling elements. It is generally performed by a solo dancer with many hoops.